Driver-assist technologies are proliferating in cars. Get behind the wheel of a new car and be amazed at the suite of safety features available. Blind spot detection. Rear-view cameras. Automatic emergency braking. Lane departure warning. These driver-assist technologies are proliferating as cars become increasingly sophisticated computers. At the North American International Auto Show in Detroit, which opens to the press on Monday, consumers can expect to hear how automakers are loading up their vehicles with sensors, cameras, radar and other technologies to keep drivers safer and more secure on the road. But are they doing the trick? And are drivers willfully surrendering their skills to a machine? Ten percent of drivers recently surveyed by Esurance said they believe semi-autonomous technology in cars is hindering their driving. Nearly 30 percent of respondents admitted that warning sounds — the audible alerts, beeps and blinking lights — could be distracting. Moreover, one in four drivers are disabling at least one feature intended to increase their safety, Esurance found. At the Consumer Electronics Show in Las Vegas, Brandon Mason, an automotive analyst and director at PwC, said he witnessed technology that monitors a driver’s eyes and posture via cameras and retinal display. If the car’s computer senses the driver’s eyelids are drooping, for example, an alert will go off. Computers are also learning to surveil a driver’s hands at all times. Automakers may have good intentions with these in-vehicle features but there could be negative consequences too, he pointed out. 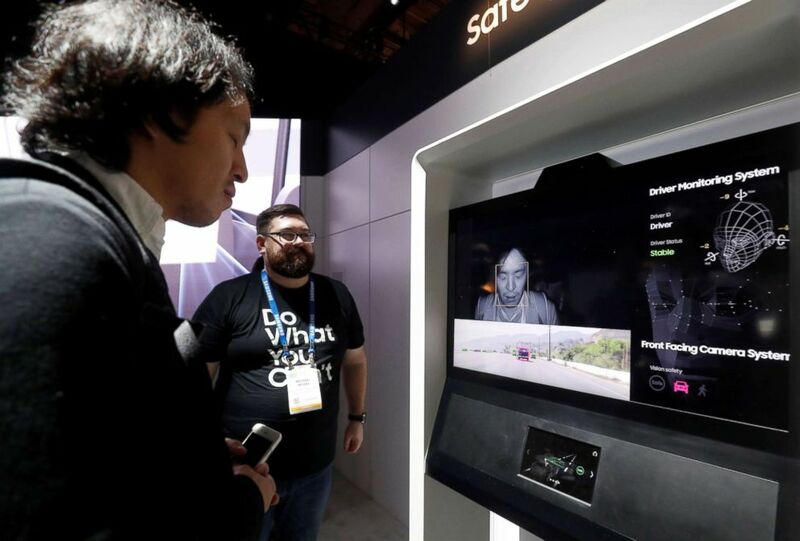 (Steve Marcus/Reuters) An attendee tries out Driver Monitoring System, a collaboration between Samsung Electronics and Harman, during the 2019 CES in Las Vegas, Jan. 9, 2019. (Justin Sullivan/Getty Images) Cameras are visible on the exterior of an Nvidia self-driving car inside the Nvidia booth during CES 2019, Jan. 8, 2019, in Las Vegas. The number of accidents in the U.S. since the mid 2000s have been on the rise, he noted, about the same time automakers began introducing some of this tech. Accidents related to distracted driving have also been on an upward trajectory, he said. In 2016, 37,461 people died in motor vehicle crashes, up from 32,744 in 2014, according to the National Highway Traffic Safety Administration, which works in partnership with the auto industry to ensure drivers are equipped with the latest safety technologies. Distracted driving accounted for 3,450 deaths in 2016, the agency said. Texting, eating, drinking and fidgeting with the radio or navigation are all causes of distracted driving. 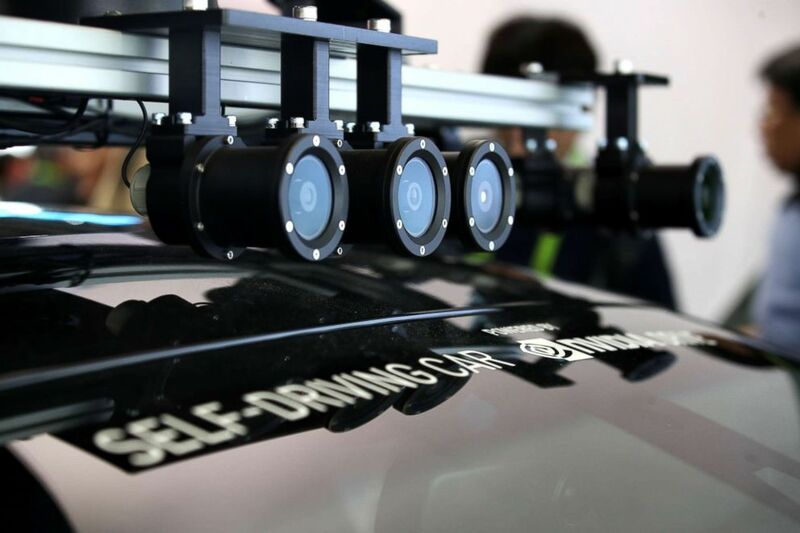 Mason and Ed Kim, a veteran automotive industry expert and vice president of industry analysis at AutoPacific, both believe these safety features are steps toward fully autonomous vehicles. Consumers will often pay more for safety technologies and safety ranks as a top reason for selecting a vehicle, according to research done by AutoPacific. Automakers are also choosing names that evoke safety, such as the Ford Co-Pilot 360, Toyota Motor Sense, Acura Watching and Honda Sensing, for their driver-assist technology, Kim noted. 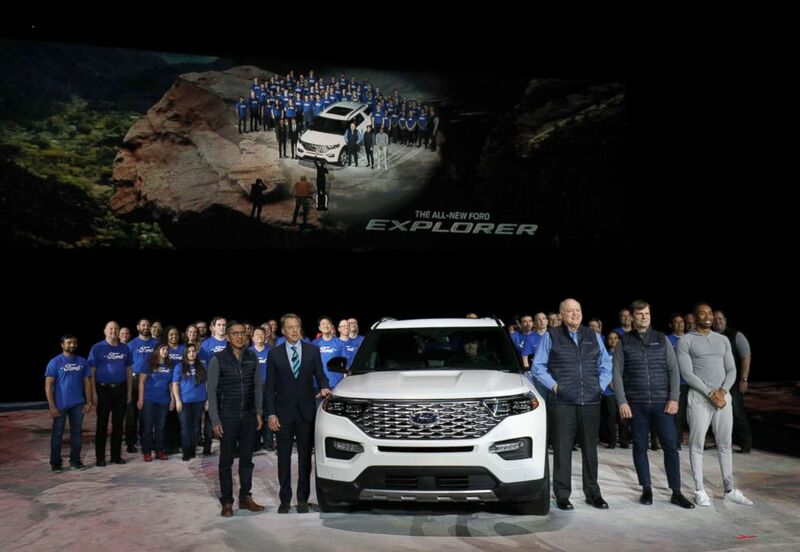 Ford has been touting the advanced safety credentials of its new 2020 Ford Explorer SUV, which had its public debut on Wednesday. The Detroit-based automaker, as part of its push for more driver-assist technology, said the Explorer would offer pre-collision assistance with automatic emergency braking, pedestrian detection, dynamic brake support, lane-keeping system, cross-traffic alerts and adaptive cruise control with speed sign recognition. The new Explorer will not only parallel park itself but also perpendicular park without having the driver touch the steering wheel, gear shifter, gas pedal or brake pedal. (Bill Pugliano/Getty Images) Ford executives and the Ford Explorer team pose with the all-new 2020 Ford Explorer SUV at its reveal, Jan. 9, 2019, in Detroit. Consumers may want the safest cars but they’re not necessarily seeking out these technologies, Kim said. “No consumer has said, ‘Gosh, I wish I could keep my car in my lane,’” he said drolly, referring to lane departure and lane keeping assist features. The new technologies may seem alarming to older drivers but Kim argued they work pretty well and the technology hasn’t failed on him – yet. He does acknowledge that younger people who are growing up with these technologies may become overly dependent on them. And features that were designed to limit distractions have actually had the opposite intended effect. Fifty-four percent of motorists said new technology makes them better drivers, according to a Cox Automotive mobility study that was published last August. Millennials value in-car tech more than other generations – 54 percent versus 36 percent for Generation X and 31 percent for Baby Boomers, the study found. “People want more tech but it’s always the No. 1 complaint when it doesn’t work,” Michelle Krebs, executive analyst at Autotrader, a part of Cox Automotive, told ABC News. “Infotainment has to work seamlessly with a cellphone and be intuitive." “Just because a technology is available in your vehicle does not mean it is safe to use while driving,” the organization states on its website. Carmakers are trying limit the number of distractions to motorists by disabling certain features when the car is in motion, according to Kim. Jessica Cicchino, vice president of research at the Insurance Institute for Highway Safety, said forward collision warnings and automatic emergency braking have helped to reduce the number of accidents on the road. Consumers do have the option of turning off the technology and the largest complaints from consumers involve lane departure warnings, with more than half of drivers shutting that feature off, she noted.